Beaded fringing, available from fabric shops, is perfect. All the hard work is done! 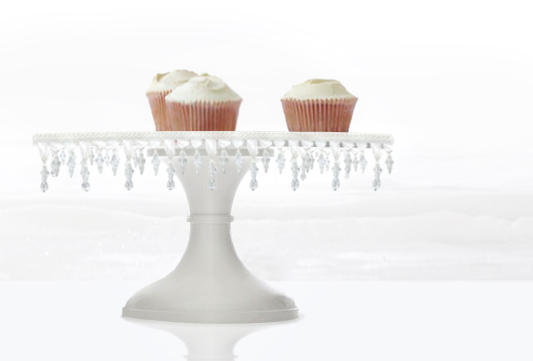 Just wrap it round the edge of your cake stand secured with glue.